Rustic Ranch style home with Finished Attic on .46 Acre PLUS the Adjacent 2.86 Acre Building Site. High Beamed Ceiling and Efficient Wood-Burning Fireplace in the Living Room. 3 Bedrooms and 1-Full Bath all on the Main Level. Large Pantry/Laundry/Mud Room area adjacent to the Kitchen. Large Finished attic with windows, half-bath, wood stove, and under eave storage = could also be a great bedroom. 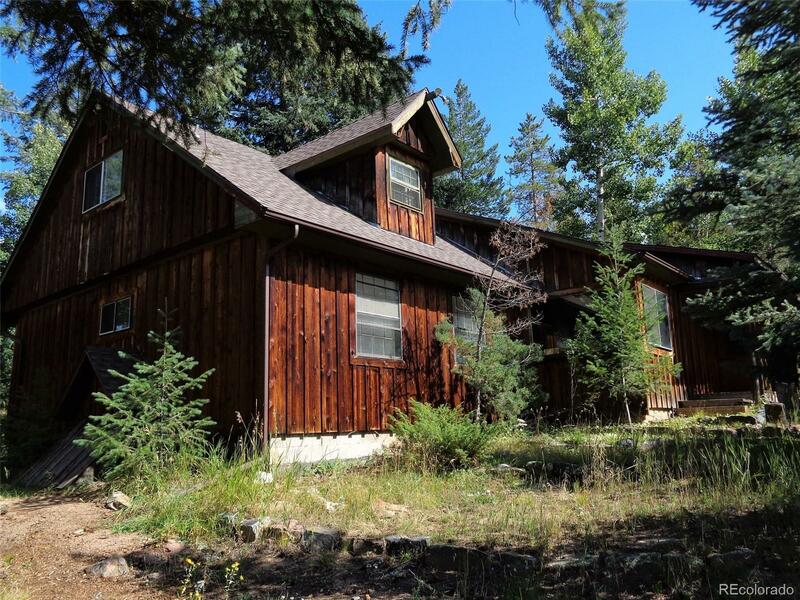 Secluded and Quiet private road serves just 5 homes just 2 minutes from Hwy 73. Mature Forest and Lush Vegetation welcomes all the forest animals. Rustic 3-Car Garage and a 2-Story Shed provides ample room for all the toys and projects. Original construction date consisted of only a small cabin with half the footprint - extensive addition & remodeling began in the 60's. Develop the included Building Site or continue to utilize the Existing Domestic Well that allows for horses. Prop Tax $1,672 + $723 = $2,395.00. Septic tank 750 gal + 2 leaching cisterns may limit number of bedrooms.